ELIZABETH CATTE IS RIGHT that the media treated Donald Trump voters as a group needing to be explained. Pundits in search of a grand narrative found it in J. D. Vance’s Hillbilly Elegy (2016). It helped that Vance had escaped the great rural unknown to attend Yale Law School and work in Silicon Valley. His memoir told the story of a dysfunctional family that could, some thought, stand for all of Appalachia—and by extension, all white working-class Americans trapped in dying cities or rural wastelands. Vance’s book received praise from both liberals and conservatives. For Republicans, it was a tale of self-reinvention and self-reliance: he refused to blame the state for his family’s troubles and claimed, in the end, that his mother had only herself to blame for her addiction. The message was simple: pull yourself up by your own bootstraps. 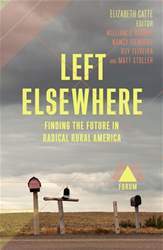 For liberals and progressives, Vance painted a picture of an alien world of rural whites trapped in false consciousness and a spiral of self-destructive tendencies. Theirs was a broken culture that required diagnosis. By turning Hillbilly Central—West Virginia—into Trump Country, the media did what they usually do, reducing the complicated history of a diverse region into a snappy sound bite of white rage.